The increasing dependence on software in every aspect of our lives makes us more vulnerable to cybercrime. Not only are breaches getting more ingenious and frequent, but they are also getting more expensive in terms of cost and damage to reputation. The average cost of a data breach is $3.86 million, up 6.4% from last year. Even more unnerving: 60% of small companies go out of business within six months of an attack. Organizations are actively responding to the rising threats — $1 trillion is expected to be spent globally on cybersecurity from 2017 through 2021, according to Cybersecurity Ventures. However, for cybersecurity to successfully thwart attacks, we need to be proactive in patching code as it is developed rather than being reactive and fixing it after deployment. What's required is a multipronged strategy with security built in, in a sustainable manner from the first line of code. The secure software development life cycle (SDLC) process is gaining ground as an effective methodology to do precisely that by integrating activities such as penetration testing, code review, and architecture analysis into the SDLC. What Is a Secure SDLC? Why Is the Secure SDLC a Necessity? Vulnerabilities that creep into software because of minor kinks and overlooked aspects can be successfully dealt with only when security becomes a continuous concern. 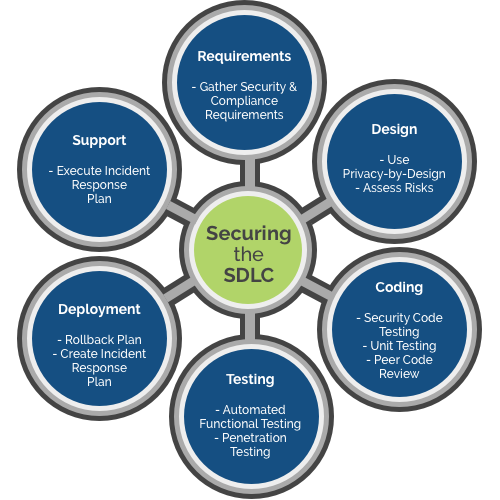 The Secure SDLC does that — and more. Here are three key areas where the Secure SDLC shines. The Secure SDLC provides a practical framework to realize a security-focused culture. Baking security in from requirements gathering and design leads to more predictable deployments, fewer rollbacks, and higher customer satisfaction. It is almost 100 times more expensive to fix security flaws in deployed software than during the requirements stage, thus reducing a project's overall expense. After finalizing your methodology, the next step is to get buy-in, train, and champion. As with the adoption of any other organizationwide process change, for it to be a success, the triad of executive buy-in, companywide training and dedicated security champions are a must. ● Architects and analysts need to perform architecture reviews and threat modeling. Using tools like the OWASP Top Ten, they must understand critical web application security risks. Decisions about the design and app infrastructure — technology, frameworks, and languages — need to be made with regulatory considerations and possible vulnerabilities in mind. ● Developers should add security code testing and security plug-ins to their daily coding routine/IDE. They need to adopt secure coding standards, static code analysis, and unit testing along with peer code reviews during the development stage. Checks should be put in place to update software, libraries, and tools on a regular basis to address vulnerabilities. ● Quality analysts need to thoroughly execute test plans with the help of automated testing tools and perform penetration testing on the final product. ● While the Secure SDLC can be kick-started with security champions, a dedicated software security group is a must for a sustainable implementation. 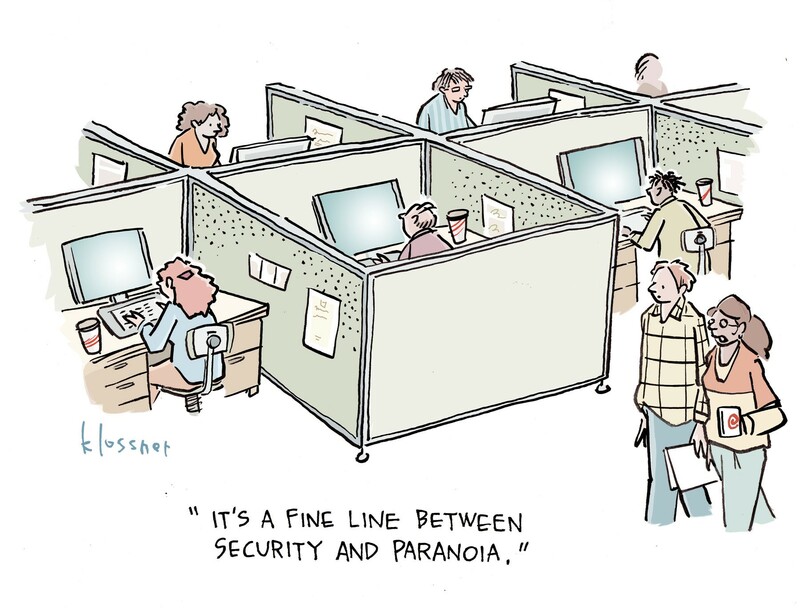 It is an effective way to educate, assess, and enforce established security measures across the organization. Secure code development should be a priority, not an afterthought. The benefits are significant and well worth the additional time and effort. Building a culture of security with the help of tools, processes, and training, is the strongest offense against the onslaught of malware, spyware, viruses, worms, Trojans, adware, and ransomware. This article provides really clear insight as to why the "security" aspect of the Secure Software Development Life Cycle is so crucial to the overall process. Our tech advisory business has been utilizing this life cycle with our customers for the past several years and it has consistently yielded great results. Following this life cycle proved to be so effective with our clients that we began offering it as one of our main services under the umbrella of our Security pillar: https://www.digitalmaelstrom.net/security/secure-software-development-lifecycle-ssdlc/ . Digital Maelstrom specifies in the Agile model of Secure SDLC - approaching the process as a continuous loop of security, rather than a one-time ordeal. I'm curious to see whether other software developers have utilized the Waterfall or Iterative Methods of SSDLC and how successful their results have been.